With a new year upon us, it’s natural for our thoughts to turn toward ways we can improve our lives. Becoming the best pet owner we can be may not be the most obvious choice for a New Year’s resolution, but even small improvements can have a profound impact on both you and your pet. The team at Beverly Hills Veterinary Associates has some simple ideas for New Year’s resolutions for pet owners that are sure to please your four-legged best friend. When it comes to New Year’s resolutions for pet owners, fun is the goal! Enjoy nature. Studies show that spending time in nature can significantly reduce stress and increase longevity, as well as lead to overall feelings of happiness and well being. 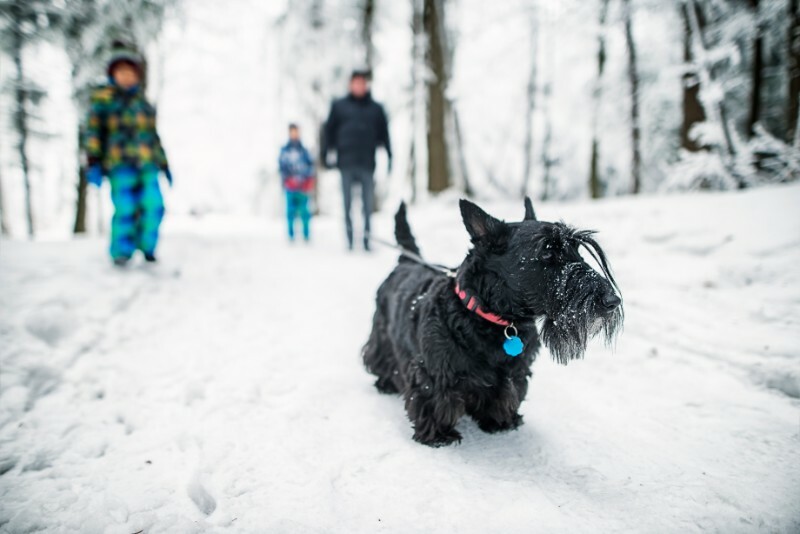 Chances are, your pet could use some more time outdoors, which makes “spending more time in nature” the perfect resolution for pet owners! Whether it’s hiking, camping, swimming, or just taking in the scenery, Michigan has plenty to offer! Learn a new skill. All pets, regardless of age, attitude, or species, can benefit from the mental challenge that comes from learning a new skill. Make it fun by finding a silly or endearing trick to practice, such as teaching your dog to salute or training your cat to jump through your arms (or a hoop). Commit to good grooming. For your pet, that is! Having a clean pet makes it easier to keep your home clean, and good-smelling pets are much more fun to snuggle. Regular bathing, brushing, ear cleaning, and nail trimming also support your pet’s wellness and longevity. It also helps them feel better and strengthens the bond you share. Have more adventures. Sharing new or novel experiences is part of what makes life fun and interesting for both people and pets. Make 2019 the year you commit to having more adventures with your pet. Try an agility class, teach your cat to walk on a leash, throw a birthday party for your pet, or visit your local pet supply store or other pet-friendly locations together. Enjoy the small moments. With all of the many details and stresses that come along with pet ownership, it’s easy to forget how delightful our furry friends truly are. Connecting each day doesn’t have to be complicated or time consuming. A quick brushing session, an after-work game of fetch, or a snuggle on the couch before bedtime are all ways you can easily celebrate the unique bond you have with your precious pet. Please don’t hesitate to contact our staff with any questions or concerns you may have about your companion. From all of us at Beverly Hills Veterinary Associates, we wish you and your family a safe and wonderful 2019! Next: The New You: Can Owning a Cat Can Make You Healthier?